Fresh Air Sculpture is a biennial event which provides a great opportunity to witness great tradition, modern and cutting edge contemporary work set-up outdoors. 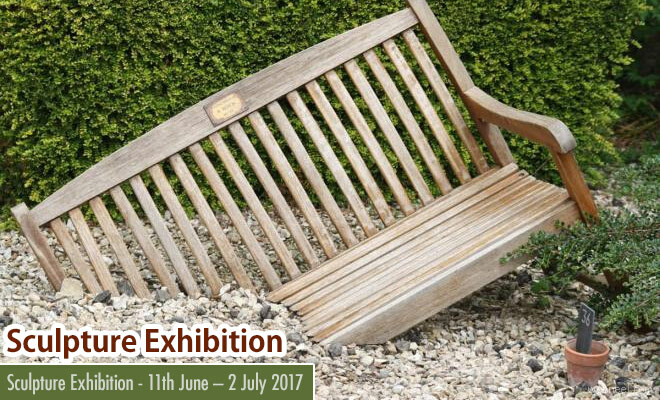 The International sculpture exhibition is all set to happen between 11th June – 2 July 2017 at The Old Rectory, Quenington, Gloucestershire GL7 5BN. Artists from UK and many other countries will be participating in this event to showcase their stunning sculpting skills and it's all outdoors. Visit their Pool House gallery which showcases the best contemporary and applied art. Sculptors like Rob Kesseler, Jo Golesworthy, Kim Donaldson will be showcasing their sculptures in the pop-up gallery in the Pool House. By using the easily available materials like stones, ceramics, these artists show familiar objects in an different form, which can keep you mesmerised. According to Fresh Air, "The excitement of FRESH AIR is the huge diversity of materials exploring a variety of media: from stone to textiles, ceramic to glass, sound to video, mosaic to metals, rubber to resin. Monumental pieces sit alongside smaller works to accommodate every size of garden or outdoor space". The exhibition is Open 10am – 5pm every day including Sundays. Admission is £5.00($6.26) for adults, children 18 yrs and under free. You can purchase artist works during the show.